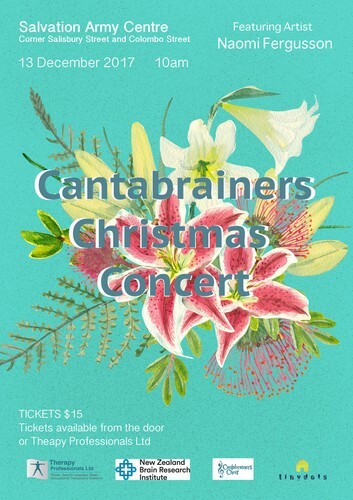 Celebration of the last 6 years of the Cantabrainers Choir. With Featuring Artist, Naomi Fergusson. 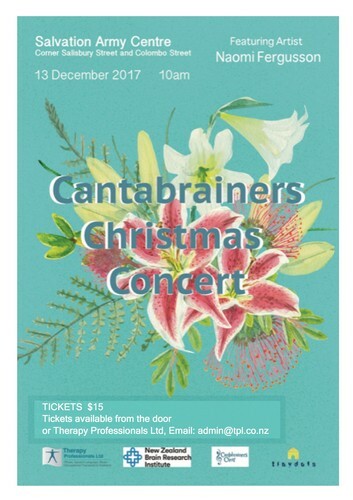 You will hear familiar songs, new compositions written by the choir, and some Christmas songs all sung by an awesome bunch of people who have neurological conditions. Tickets include a lucky ticket and light lunch. Tickets available from the door on the day or Therapy Professionals Ltd, email: admin@tpl.co.nz.